Osaka: "I still feel like it's a very strange moment. Like, I feel like I'm living right now, but it's not necessarily real, if that makes sense"
Naomi Osaka wins a dramatic Australian Open final after coming through a three-set thriller against Petra Kvitova. 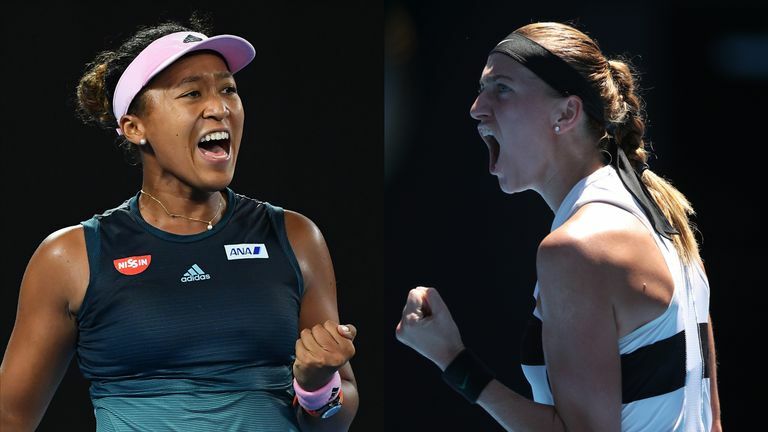 Naomi Osaka admitted she was still feeling "very shocked" following her victory over Petra Kvitova in the Australian Open final which saw her earn the world No 1 ranking. The 21-year-old's 7-6 (2) 5-7 6-4 saw her become the first woman since Jennifer Capriati 18 years ago to follow up a maiden Grand Slam title by winning the next major tournament. She had lost her head, too, but she overcame a major mental hurdle to refocus and power her way through the decider. Osaka had been in tears on the podium in New York as the deafening jeers rang around Arthur Ashe, and there were more tears at the end of the second set, but this time a much happier ending. I still feel very shocked. I felt like the match wasn't completely done, but it was done. It's one of those moments where you're fighting so hard. When it's finally over, you're still in the state of competitiveness. "I felt like I didn't want to have any regrets," said Osaka. "I think if I didn't regroup after the second set, then I would have looked back on this match and probably cried. "I just thought to myself that this is my second time playing a final. I can't really act entitled. To be playing against one of the best players in the world, to lose a set, suddenly think that I'm so much better than her, that isn't a possibility. "I literally just tried to turn off all my feelings. I just felt kind of hollow, like I was a robot sort of. "I still feel very shocked. I felt like the match wasn't completely done, but it was done. It's one of those moments where you're fighting so hard. When it's finally over, you're still in the state of competitiveness. "I think as a whole, this tournament was very eye-opening for me. I had a lot of matches that were very tough and I was behind in some of them. I think it showed me that I could win matches from behind, just on willpower alone." Osaka went into the Australian Open 12 months ago ranked 72 and never having made it past the third round of a major. She reached the last 16 here then went on to make her breakthrough in March by winning the big WTA title in Indian Wells. While her progress appears to have been lightning fast from the outside, Osaka does not see it that way. "For me, every practice and every match that I've played, it feels like the year is short and long at the same time," said Osaka. "But I'm aware of all the work that I put in. I know all the sacrifices that every player does to stay at this level. In my opinion, it didn't feel fast. It felt kind of long." Osaka added: "Grand Slams is something you dream about playing as a kid. I don't ever want to waste this opportunity. So those are the biggest motivating factors for me. "I had dreams that I would win this tournament. Every time I have a dream, somehow I accomplish it, I still feel like it's a very strange moment. Like, I feel like I'm living right now, but it's not necessarily real, if that makes sense."